I have been married for 13 years and have two beautiful children. I love spending quality time with my kids and playing with them. They are truly the best two things that have ever happened to me. We are also Disney fanatics! Our favorite vacation spot is Disney World and we visit every year! We have been to Disney five years in a row and twice last year! 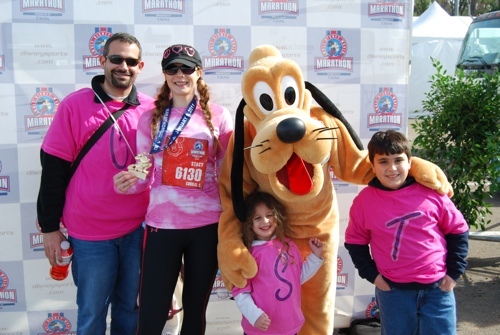 I recently lost over 80 pounds through running and I married my two passions, Disney and running to run my first marathon at Walt Disney World! 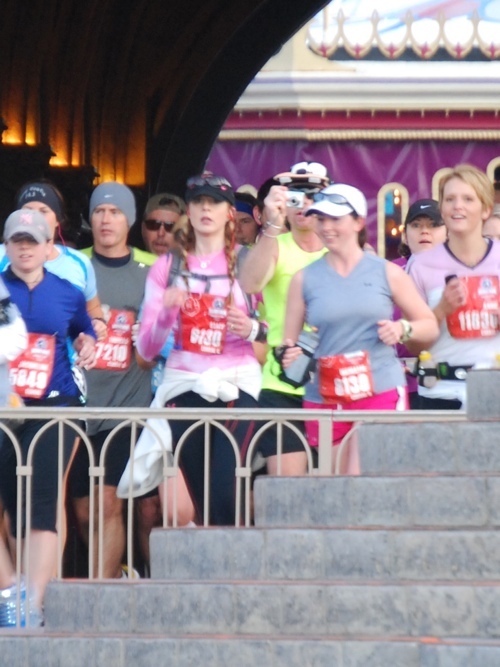 Running the Walt Disney World marathon was the best experience in my life, so I decided to start the blog, Run Disney Mom, to share running, fitness and diet advice for others interested in running a Disney race. I also write the blog, Five a Day the Fun Way, which is all about making eating healthy fun! I share recipes, diet tips, exercise advice, activities and more for making living a healthy lifestyle easy and fun for the entire family! I have a passion for health, exercise and nutrition. I am currently studying to obtain my RRCA running certification, ACE personal trainer certification and I just received my CPR/First Aid certification. I serve as the Secretary on the PTO board at my children's school and lead the health and nutrition committee, to try to help every child at the school make healthy choices. I am also the Girl Scout Leader for my daughter's Daisy troop, which brings me so much joy to help girls be the best they can be! I have an extensive background in communications and writing for a wide variety of channels and audiences. I currently work at a Fortune 500 company as a Communications Manager where I am responsible for developing and executing large scale communication strategies for high profile initiatives. In previous work experience at various companies, I have worked on a wide-range of writing and communication projects. This includes writing articles for our corporation websites, writing content for various e-newsletters and e-Mail. I also have experience in writing in the voice executives, and have planned and wrote the content for our executives’ speeches, scripts, talking points, presentations and blogs. I have wrote the content and produced videos and managed large scale teleconferences and meetings.